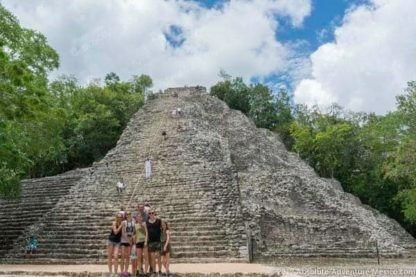 Coba ruins tour with snorkeling in cenote. With private transport and guide. 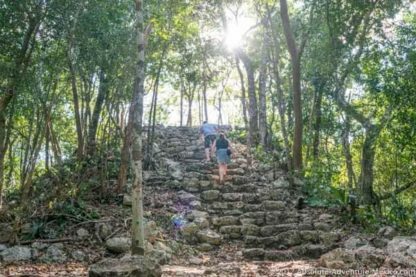 PRIVATE TOUR: Climb the highest Mayan pyramid of Mexico in Coba, ride a bike in the jungle to visit the ruins and swim in a cenote. 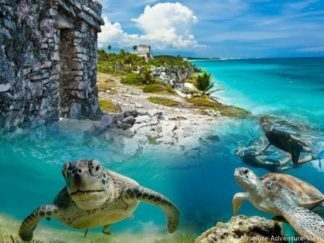 An exclusive private tour with a tasty Mexican lunch. We advise 06:45 from your hotel. 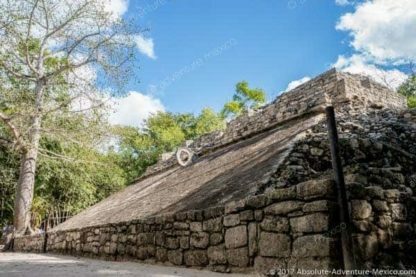 One of the best things about the Riviera Maya is that it is home to an abundance of historical and natural attractions that can be combined to create a one-of-a-kind day trip. 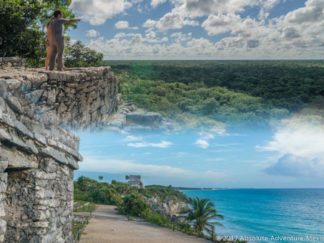 This all-inclusive Coba ruins tour combines the archaeological wonders of Coba, which was the largest Maya city during the civilization’s Classic period, with the beauty of snorkeling in a cenote. Our private tour begins with a morning visit to Coba, which we try to organize so that you can avoid the crowds as much as possible and better enjoy your experience. Once you arrive, your professional tour guide will take you to see all of Coba’s most interesting features. Not only will your guide take you for a bike ride through the jungle, but you’ll also be able to climb to the top of Coba’s famous step pyramid, which is one of the tallest Maya pyramids in the Yucatán Peninsula! You’ll definitely want to have your camera with you in order to take photos of the area from the top. 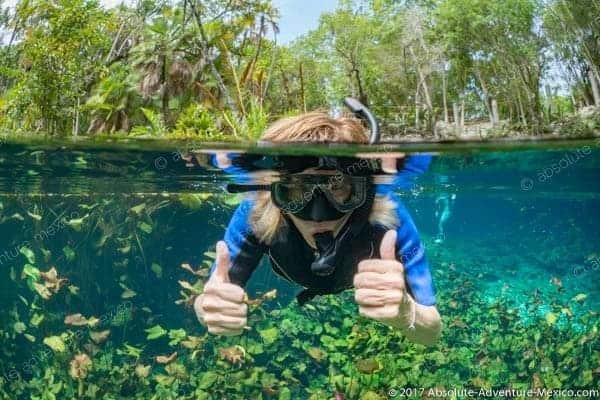 After you’re done visiting all of the many exciting archaeological sites at Coba, including the famous Maya ball court, we’ll head to the jungle to go snorkeling in cenote. Cenotes are beautiful underground caverns that were naturally formed by rainwater eroding limestone over centuries. 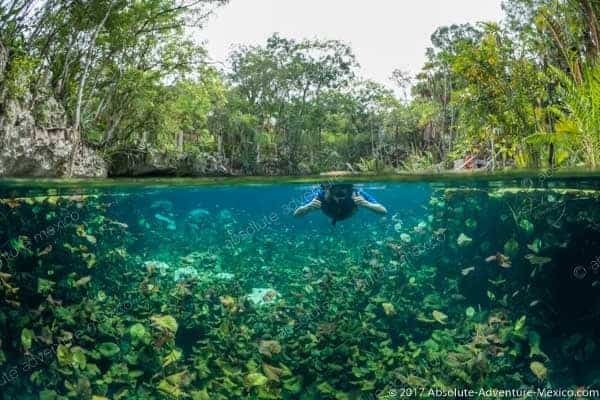 In addition to containing fascinating natural features like stalactites and stalagmites, they’re also a great place for beginners to go snorkeling since the water inside them is calm. We’ll provide all of the snorkeling equipment you need, plus your trained guide will be with you every step of the way in case you need help. 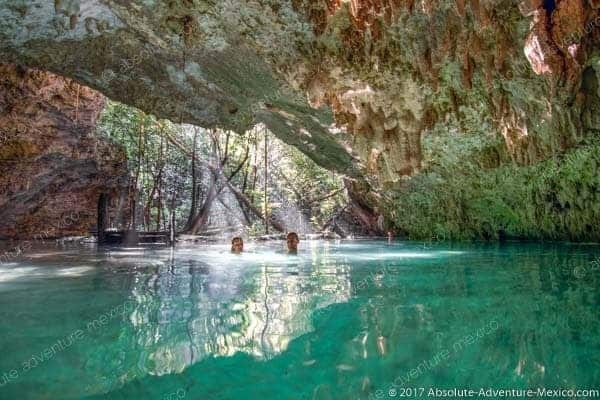 Finally, after exploring the cenote and relaxing in its cool water for a while, we’ll end our tour by stopping for a traditional lunch at a local restaurant. Which cenote will you visit? The day of your tour, you can choose the Coba cenote pack (2 cenotes Choo Ha and Tamcach-Ha) or Nicte Ha or Takbe Ha. 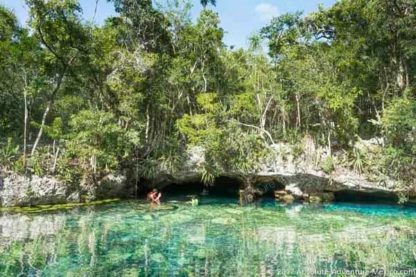 Your guide will be happy to help you to select the best cenote for you and your party according to your expectations and snorkeling skills. 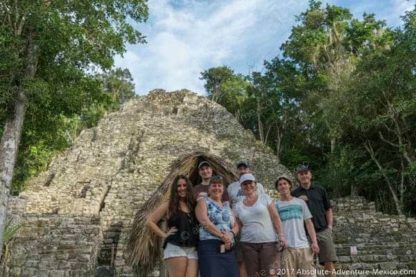 We hired Absolute Adventures for a half-day private tour which included the Ruins of Coba and Snorkling in Centoe (underground caves). It was a truly authentic experience. The guide, Arturo was very knowledgeable throughout the tours. He climbed the ruins with us and took pictures of our group throughout. 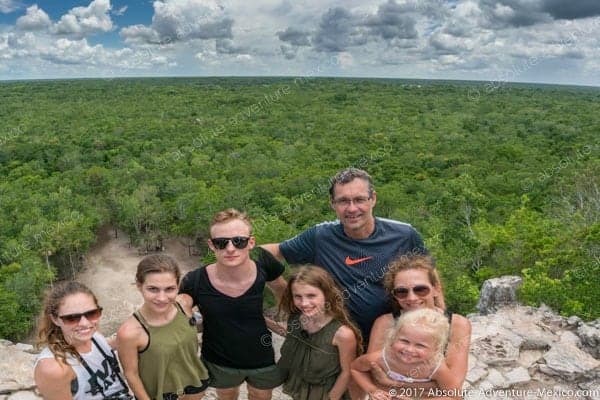 They got us to the Coba ruins right when it opened which was planned on their part as it wasn’t as crowded and the sun wasn’t steaming down on us. By the time we left, it was packed and I can’t imagine climbing that ruin with all those people on it and as the heat intensified. We were so happy to do it with a limited number of visitors at the time. 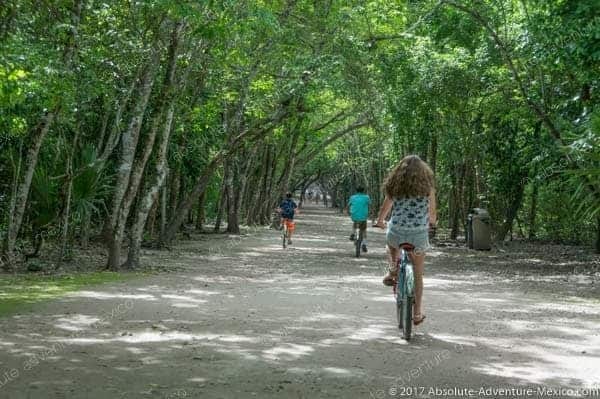 The bike ride at the ruins was wonderfully shaded throughout and added to the relaxation of the trip. The cave snorkeling was a unique experience and it felt like their own private piece of history. The tour ended at a delicious authentic lunch spot! I have been to this area of Mexico a few times, and this was by far my favorite excursion. It was not commercialized and did not take up a whole day. It was very convenient, very reasonably priced, and we loved how we could customize to our wants. I highly recommended Absolute Adventures! 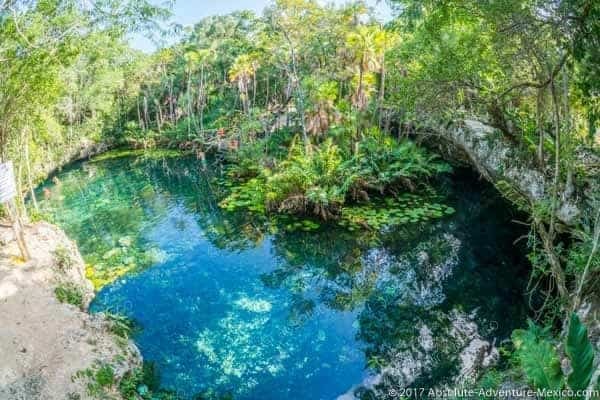 The Coba and cenote tour with Juan was great ! All our family members had a blast: from pick-up to drop-off, Juan was professional and friendly. Kids particularly loved the cenote. 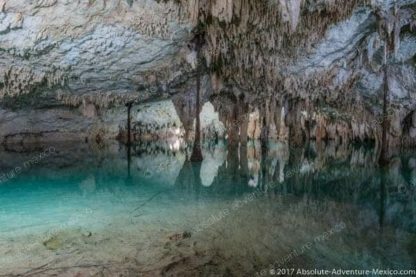 Having a private tour made a great difference, we enjoyed ruins and cenote how much we wanted and Juan gave us a lot of knowledge about each place. Highly recommended! 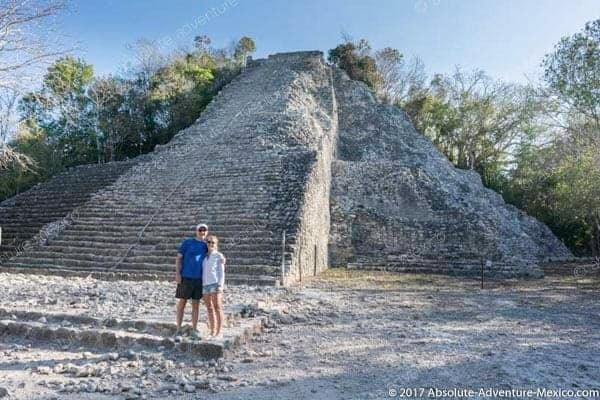 Our coba tour with Absolute was again so amazing (we booked three tours with them this being our second) our hotel is in Puerto Morelos so it is about 2 hours from Coba. Our tour guide Claire and driver met us on time at 6 am, the drive in the van was comfortable as Claire gave us some insight on the culture of the area. When arrived at Coba Claire too care of all the details; from water / drinks, entry fees, to renting bicycles (having someone peddle while you sat was an otion too), to information on the history plus showing us sites we would have otherwise missed as they were hidden in the deep forest. 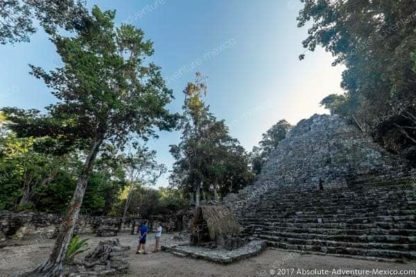 When we left Coba we were happy for the early start as the crowds were crazy. The cenote the driver took us too was off the beaten path, once again Absolute showed their attention to detail allowing us to swim / snorkel in a very quiet area leaving crowds behind. Claire our guide provided us with wet suites and life jackets (we brought our own snorkels but she will provide everything needed). I found Chris and Absolute Adventures by searching the internet, and he hands down deserves a 5 star rating. 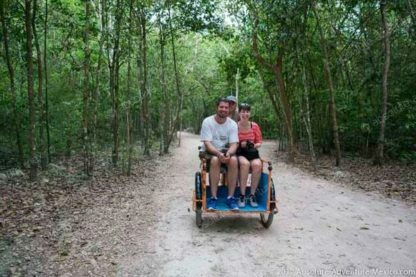 When searching for a tour I was looking for someone who was willing to take someone with a disabiltiy as I am a wheelchair user. Chris blew my expectations away. 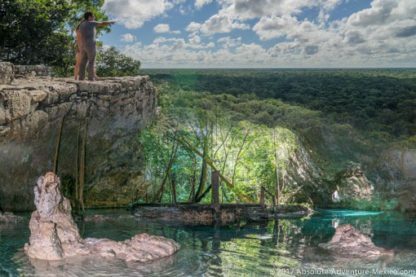 He carried me part way up the Coba ruins, got me in the ocean to snorkel with turtles and carried me down to swim in the Cenote. Take Chris’s advice and start the tour early! Well worth beating the crowds at the ruins. Our coba tour with Absolute was again so amazing. Our tour guide Claire and driver met us early and they took care of every detail, we just had to relax and enjoy the day. She gave us insights of Mexican culture and told us about the history of Coba. We cycled around Coba ruins all morning and then we headed to a very quiet and gorgeous cenote. Snorkeling equipment was provided. Mexican lunch was far better than anything we had during our stay. Everything was perfect. We used Absolute Adventure for a tour of the Coba Ruins and snorkeling in a cenote. We had a 6:30 a.m. early start but so worth it! We got to the ruins before everyone else did which really allowed us to appreciate our surroundings. 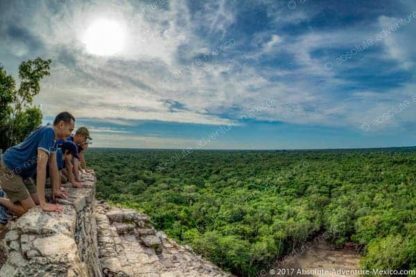 We were the first ones to climb up the Mayan ruin and got to enjoy the spectacular view without a ton of people around! We loved being able to use the bikes to get around too! From there we went to a yummy lunch and then off to the cenote. We were given wet suits and snorkels and explained how things worked. Having two children with me, I appreciated having a guide with us and that he was very familiar with the area. From start to finish, we knew we were in good hands, had some good conversations and laughs, learned a lot and went home happy and tired!! Great day trip out! One last thing – the car was clean and and the driver was very good. 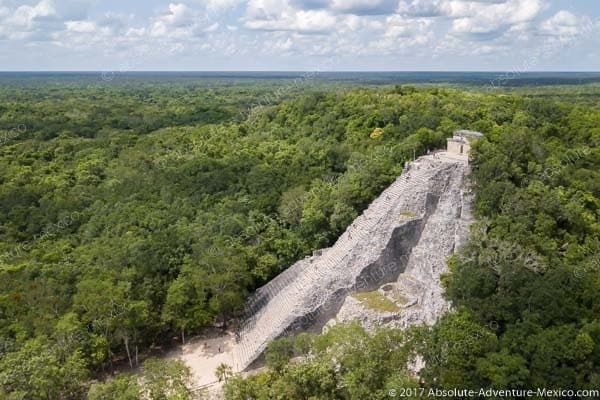 Our day in Coba was excellent. Our guide answered all our questions and made us laugh all along the tour. There was no rushing, just enjoying the way at our own pace. Coba is definitely a place to see, and climbing on the top of the pyramid makes it even better!The cenote we went to was amazing and we really had a blast swimming the middle of the jungle. I strongly recommend AA. 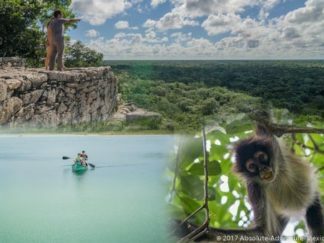 Both Coba and cenote were fun and beautiful! We had a personal english speaking guide, a driver and a van for us the all day. Everything was enjoyable and easy! This company offers far better trips than any from the hotels and their staff makes your feel special. 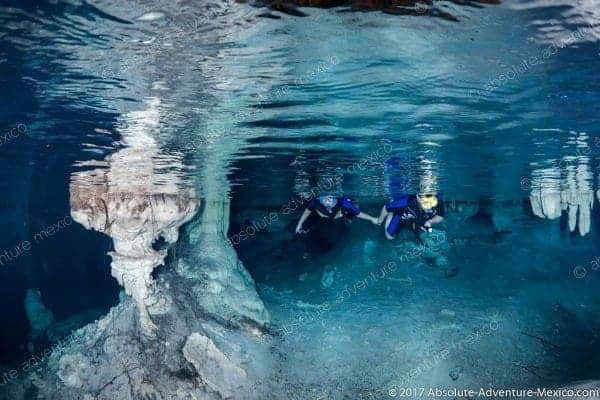 I highly recommend Absolute Adventures! Our guide Arturo took care of us throughout the tour. First we climbed Coba ruins and took tons of pictures before other tourists arrived. By the time we left, it was packed and I can’t imagine climbing that ruin with all those people on it and as the heat intensified. 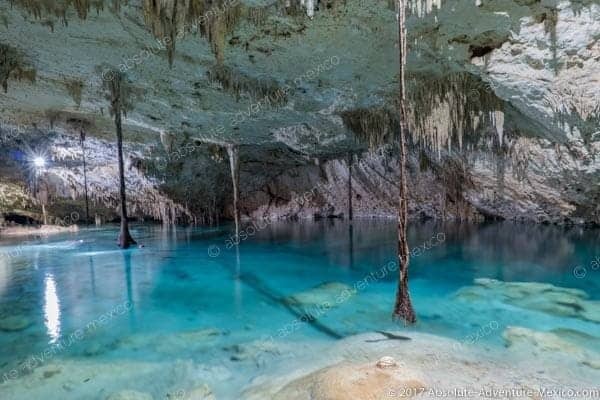 Then we head to a cenote. Snorkeling there was a magical experience. Do not hesitate to book with AAM, these guys are great!